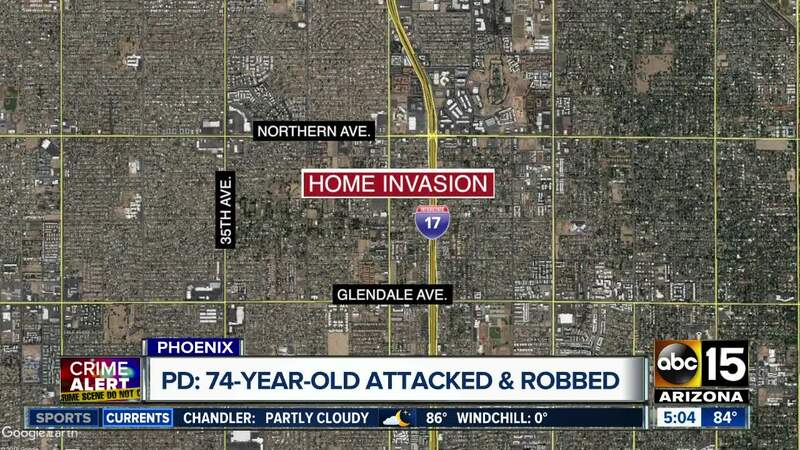 A 74-year-old woman is recovering after she was severely beaten during a home invasion and robbery early Tuesday morning. According to police documents, the victim said sometime before 4 a.m., four unknown men entered her home near 35th and Northern avenues. It’s believed they entered through a dog door. The individuals reportedly attacked her while she was in bed, covered her face and moved her to the bathroom where they restrained her to a chair with a rope, tape and garden hose. The suspects were in the home for more than an hour, police documents said. 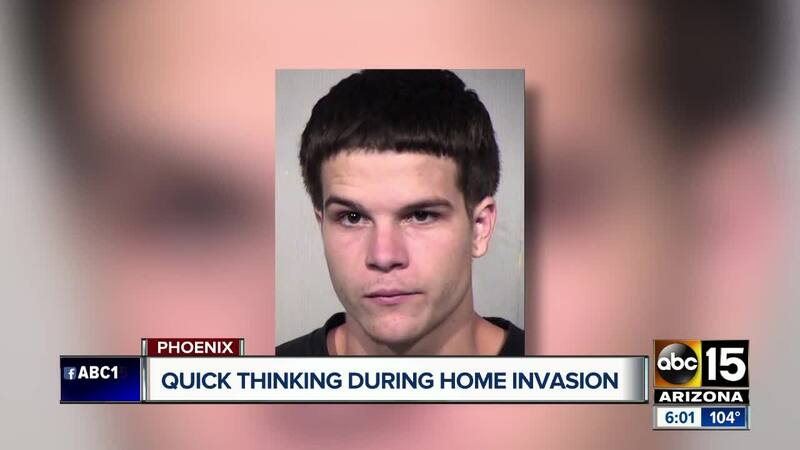 Officials said the home was ransacked and the suspects asked the victim where she kept her jewelry, cash, car keys, wallet and ATM pin number information. Police say her 2007 Mercedes Benz vehicle, a .357 Magnum handgun, desktop computer, cell phone and bank cards were stolen from the home. The victim told officials one of the suspects loosened her restraints before they fled the scene. After she freed herself, the victim tried to find a neighbor to call 911, but ended up using her voice-activated Alexa device to call a neighbor, who then called police. Officials learned that her bank cards had been used to withdraw money and they were able to track a signal from both her stolen cellphone and vehicle. The stolen car was located and watched by police. Twenty-year-old John Eaves was spotted driving the stolen vehicle on Thursday around noon. When he spotted officers, he fled and crashed into a parked car. He ran from the crashed car on foot, but was taken into custody with the help of a police K-9. A felony warrant was already out for Eaves’ arrest. Police found jewelry and a medication bottle belonging to the victim on the suspect’s person and in the stolen vehicle. Eaves reportedly told police he ran from the vehicle because he was scared. He was booked into jail on charges of aggravated robbery, aggravated assault, vulnerable adult abuse and other felony charges. Police say the victim is currently hospitalized with serious injuries. Officials say she suffered numerous fractures and will require several plastic surgeries. Anyone with more information about the incident or the other individuals involved is asked to call police at 602-262-6151. To remain anonymous, information can be given to Silent Witness at 480-WITNESS or 480-TESTIGO (Spanish).